Welcome to Meghna’s World. 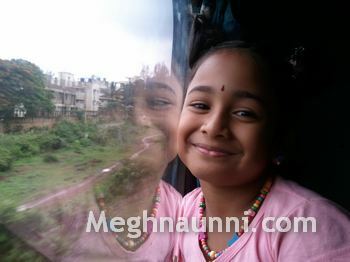 I am Meghna Unnikrishnan, 10 years old from Chennai, Tamilnadu. My native is Haripad near Alappuzha in Kerala. I was born at Tripunithura, Ernakulam on May 4, 2004. I am studying in Std V in The Schram Academy School, Maduravoyal, Chennai. I stay at Anna Nagar. My favourite hobbies are Drawing/Painting, Reading, Dancing, Cooking, Quilling and Crafts. Hi Meghna, I was amazed on seeing ur drawings. I and my son became your fan dear. you are blessed to have a such a cooperative parents and your parents are blessed to have a wonderful child. God bless you.